Stupid Rubbish… » Day dream. I’m laying carelessly on my stomach intently viewing a large, wooden-cased black and white television. The house is oppressively warm and my shoeless feet are waving around in front of a steel and wood-effect gas fire. The thick brown carpet invites me to embed myself into it, the house is filled with Christmas decorations and a large green plastic tree dominates the bay window. I am immeasurably mesmerised by the images I see before me. Incredibly, the film I was watching was already over 20 years old even then. The 7th Voyage of Sinbad was created and produced by the genius of Ray Harryhausen over half a century ago now, but something of the indefinable magic inside those moving pictures seems somehow immortal to me. 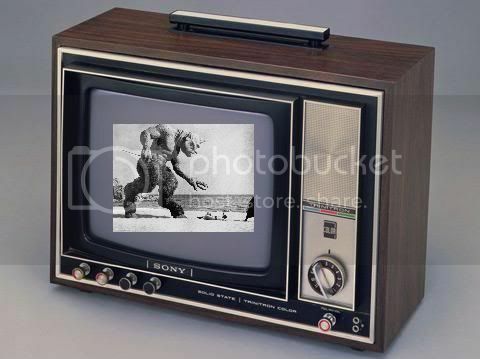 Whenever I see those tell-tale flickering, stop-motion monsters and super exposed colours moving on a television screen I feel within me a sensation from the past that I had all but lost. Familiar but forgotten smells and textures combine with the implicit warmth and safety of childhood and envelop me as a comforting counter-point to that tiny spark of pure adventure. Just long enough to miss it, hugely, as the world before me drifts back into focus and I realise I am an ‘adult’ again and I am never going to find my way back to that place.